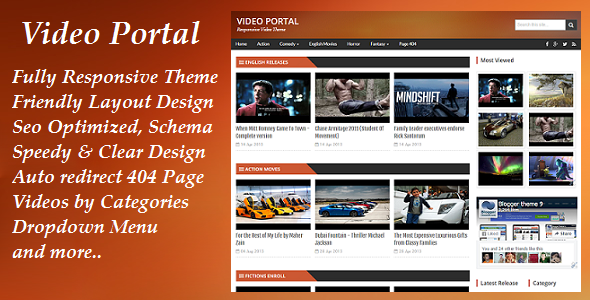 Video Portal is a clean design template, specially designed for video blogs. We've manage to set Youtube iframe to fix and work proper on any high resolution or mobile device. 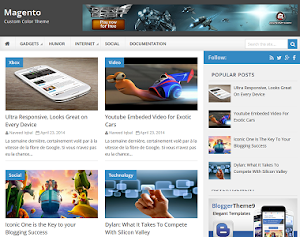 We have tried to add every widget that should be a part of a Video template. 6 related videos with thumbnails and a subscribe form is added below each post in a very decent way. Whatsapp share button is set to work on any iOs or mobile device. Mobile friendly dropdown menu bar set to be activated on iPad's or any touchscreen device. 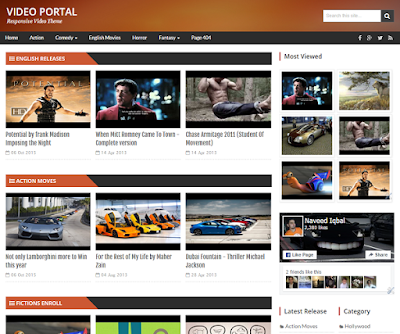 We deliberately didn't add any slider in Video Portal to give it a more professional look. A play button will appear on image hovering whenever you take the cursor on desired video thumbnail. Simple and easy steps to follow to add Youtube's iframe code. from where to download ? How to put slidebar label gadget html? can i have that code? 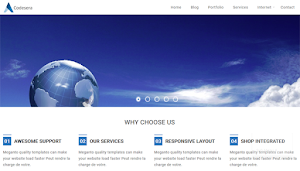 do you have this theme for wordpress? How to change Date in Gad1/Gad2 with fa fa-eye i find on template fa fa-calendar no results? how to change?? that code is from the category post. We will have to edit the script file for that. We charge 10$ for any custom work. 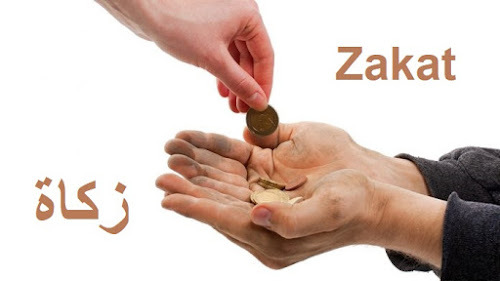 You can help or not? Now the video thumbnail is not appearing. read the instruction file which is added in the zip file. how to embed the youtube video. How to fix this issue please ? Read the instruction file carefully. I already make the payment. I hope you've received your premium file. hello naveed i think buy this. but i am a doubt witch email send premium file? 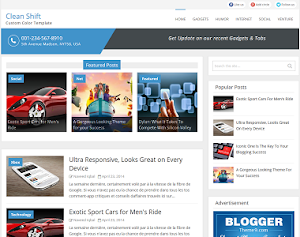 And we will send the premium file to your desired email. How do I put content bellow the ''English releases'' (by default)? how to put post in action movies ? This will blow my seo plans for sure. Please rectify these errors. Otherwise this theme will be useless. If you sent me your email, I can send you the full validation report. 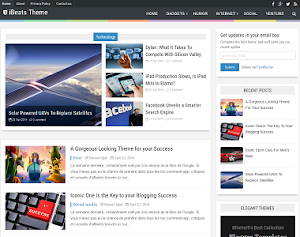 share one blogger template from the internet having 0 errors. how to put post in action movies? i want to buy this theme but i have no paypal acc. How can i use visa credit card?